Novo Amor, aka Ali Lacey, has unveiled a poignant video for the title track from his anticipated debut album, Birthplace. The video highlights the monolithic problem of plastic in our oceans and was shot in Komodo and Bali, Indonesia, with production duo Sil and Jorik who previously worked with Novo Amor and his collaborator Ed Tullett on the emotional and cinematic video for their track, Terraform. "We want to make films about stories that matter, especially when those in disadvantage can't speak for themselves. "The pollution of our oceans is one of the most important stories of our time. "They are under attack by a rapidly growing tumour of plastic waste for which we are responsible. "We've been exploring ways to make a video that touches on this topic for a while, and when we heard Ali's music the specific idea came to us almost in a flash." World-renowned freediver Michael Board stars as the character of humanity in the video. He performed over 250 freedives during the shoot which involved the crew spending 35 hours underwater. Board appears alongside a 13-metre bamboo humpbacked whale sculpture, covered in plastic that was collected by local children in return for schoolbooks as part of an environmental initiative started by a local primary school. "On the last day of filming the whale, we disassembled it and took it out of the water. We removed all the plastic and nets and transported the segments back to the mountain village where it was created. "The presence of plastic waste littering our oceans is not a new issue, but it's an issue that has been worsening for years and is something that we can and should be addressing. "The problem is not only a threat to marine life, but to the entire food chain, our whole ecosystem. "When something impacts wildlife in such a profound way, we can expect it to impact upon us. "The problems are manifold, the repercussions shocking, but there are ways in which we can raise awareness of such an urgent issue, and counter it." Working from this home studio, Novo Amor has received acclaim for a catalogue of beautiful and melancholic songs which have the ability to effortlessly transport the listener to another realm. On Birthplace, the sounds of his home bleed in - the distant chatter of a party across the street, Bonfire Night fireworks, the seagulls that congregate on the building site next door. "I think there's something calming about working at night," he says. "You can focus on smaller details and sounds." "Birthplace, as a song, represents change, the release of an attachment to something that defines your character. "It's a theme that inadvertently manifested during the making of the record. "The birth of Novo Amor was just me 'emigrating' from myself in a way; a departure in the wake of defeat. "I've always been inspired by sudden changes and movements in my life, and I've felt that the creation of this record has been a further articulation of this. "This 'emigration from self' is now felt and expressed more as a landing, a 'becoming of self', a joyous but slightly skewed look back at the past." Seneca is rooted in the story of a town in Nebraska that tore itself apart over a dispute over how many horses might be kept in a yard. "But no matter what each individual song is about there's this sombre conflict across the record." "It contradicts the happiness with waking up every morning another day older, another day further away from your past." 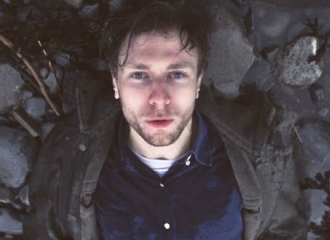 Novo Amor play The Haunt, Brighton, on the 20th October. New album 'Birthplace' is set for release on 19th October 2018.